When I need to find doctor I turn to DrSocial.org. 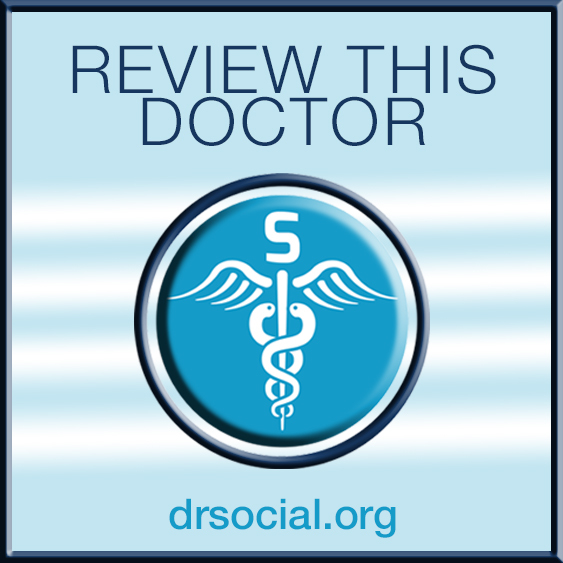 It’s the perfect place to find a doctor, write or read doctor reviews! You can even ask a doctor to research health information. All of this for FREE! DrSocial.org is offering a $100 Amazon Gift Card to one lucky winner. Enter to win via the giveaway form below. You are required to sign-up for DrSocial.org and write a review. It is absolutely free! We will verify entries! Giveaway ends January 5, 2015 at 11:59 pm EST. Giveaway is open to US only, ages 18 and older. Good luck everyone! Participating bloggers, besides Giveaway Bandit, were not compensated in any way for the promotion of this giveaway. DrSocial.org (sponsor) is responsible for prize fulfillment. The winner will be notified via email and has 48 hours to respond or another winner will be selected. Facebook, Pinterest, and Twitter are not endorsing or liable for this giveaway. Please contact melanie@giveawaybandit.com if you have any questions or would like to learn more about our promotion services. I did a review for Kathleen Cleary in Clinton Ma ….I have a screenshot if you need it. I wrote a review of our fantastic pediatrician. And.. thanks, Melanie, for emailing me a while ago (during an ipad giveaway!) to explain how to write a review- I figured it out, finally, because of your help. Too bad I didn’t figure it out in time to win an ipad! Thanks for all of your giveways!